I am a big proponent of changing looks for different seasons. One easy way to do that is with the textiles and soft goods in the house. In an earlier post, I discussed how pillows are a great, inexpensive decorating tool to change out with the seasons or to try a new trend. But another great place to do this is with your bedding. 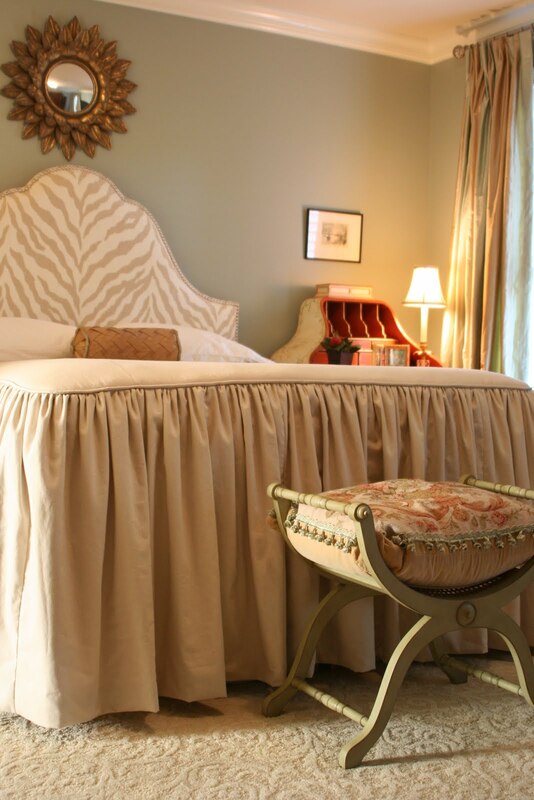 I look I love for warmer months is the gathered bedspread, especially when they are done in light, flowing fabrics such as linen, cotton, or sheer organza. Here I have gathered a few examples of this look. This is a wonderfully cool and summery look in a semi-sheer fabric with a place to insert a duvet as well. 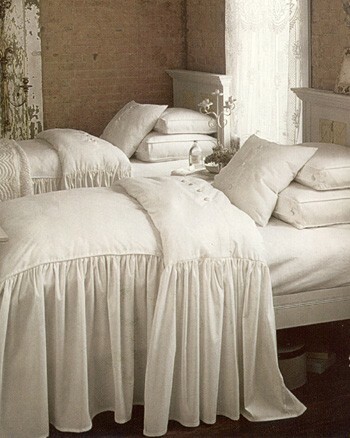 Here is a gathered bedspread with another light coverlet layered over it. I love the casual, slightly wrinkled look here. These gathered bedspreads are paired with a gathered bedskirt so everything looks pretty and pulled together even when the spreads are turned down. Of course, gathered bedspeads look fabulous when paired with canopies like these. This is a gathered bedspread in my own house done in linen. I like it with the upholstered headboard. This is also a gathered bedspread I did for a client's daughter done in white cotton with a contrasting welt around the top of the bed. Flowing, gathered bedspreads in light, breathable fabrics just beckon you to come, plop down, and enjoy a nights rest in cool, crisp comfort. I love this style. I would like to try this, but I keep wondering if it would look out of whack on a king-sized bed. Gorgeous I grew up with a mom who insisted on having beds with those kinds of bedspreads (yes shes Southern..haha) and I have to say they are quite beautiful!!!! I love the high bed, thats the only way to have them otherwise they don't look right. Its a very grand old world look! Hi scribbler! 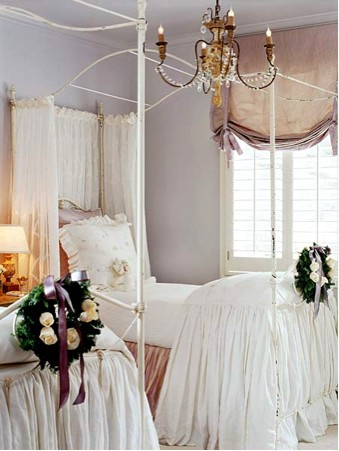 I think it would be fine on a king-size bed, as long as it is a bed with some height, like enchanted home said below. The two beds I show that I did in this way are both queens and I think they look great. enchanted home- I agree about the height aspect, and yes it is a grand, but soft look. Nice post, Carol! I didn't know you had a blog. Love all these beds, especially yours. So glad to be connected. Beautiful! I love an attached bed skirt. So feminine! Where can I find these? I have googled and found a few, but not much of a selection. So Many Fabrics, So Little Time!